Did you know heating and cooling account for more than 50% more annually in energy bills than they should? According to the EIA, residential homes account for 40% of the total United States energy consumption. Even further, the Department of energy has data that proves that 40-60% of energy consumption is from our HVAC systems. Are you constantly fighting to keep your home cool? Do you have outdated lighting? These could be signs that you need to do some renovations to your home. These renovation tips will dramatically cut your energy bill monthly. Light Emitting Diode (LED) and Compact Fluorescent Lights (CFL) bulbs have changed the energy industry. Both bulbs are extremely efficient. Older bulbs emit so much heat that they not only raise your lighting bill but also raise your HVAC bill because your system is constantly working against the heat trying to cool off your home. 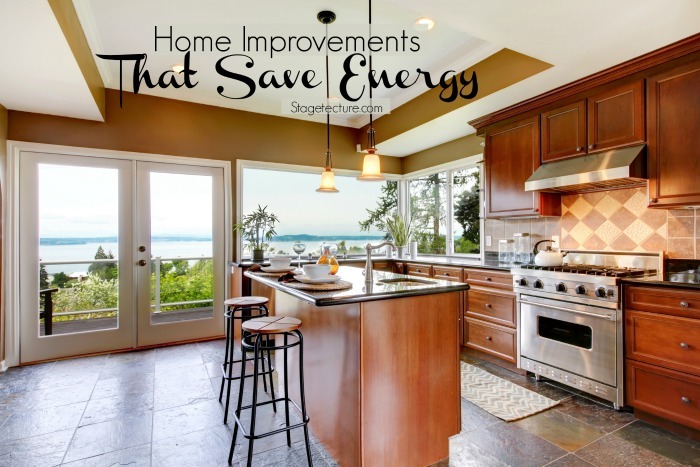 This is one of the cheapest and simple ways to lower your energy bills. This is one of the most overlooked renovations when it comes to improving your HVAC consumption. Maybe because if it’s out of sight it’s out of mind. In this case, you do not want to overlook insulation & air sealing installation. Over time, these areas experience wear and tear. This will end up meaning that you are not only paying to heat up your house but the areas around your house as well. In our opinion, that isn’t the best use of your finances. Installing proper insulation, and air sealing will increase the efficiency of your home. Installing window film, caulking, cleaning, and replacing parts are always to make sure your storm windows last their entire expected lifetime. This is another form of energy efficiency that is completely overlooked by homeowners. Roughly one-third of a building’s energy load is from solar heat- sunlight coming in through windows. Window film, more commonly known as window tint, can reduce up to 80% of solar heat by absorbing and reflecting it back outdoors. Making a regular use of programmable thermostats, Timing automation systems, and demand & occupancy sensors are all great ways to save your home or business money. These tools optimize your HVAC system during peak hours, and when your home or business in unoccupied. This is a great way to cut back on heating or cooling your home/business unnecessarily. We love these smart thermostats from LifeHacker. They give you the top 5 they would recommend. This season improve your energy bills through your HVAC unit. Your heating and cooling bills could be drastically changed by using these simple home tips. For more home maintenance tips, look to our archives. « Home Safety: Why Is A Boil Water Notice Important?